1. 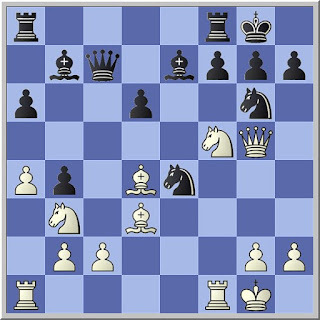 Which move did Boris, White, play (it forces mate in 5)? A lot of you spotted the winner 1. Qh6! ... so, congratulations! 2. Does anyone know Mr Marszalek's first name? Two of you also made a great effort on this one. Winand Simons and Christophe Kriegstumpf (aka. the Haymarket Sage) both suggested Rafal, although after some further research the Sage then suggested it might actually be Josef. Any further suggestions on this one welcome. Don't forget to check out yesterday's Friday Chess Puzzle as well.